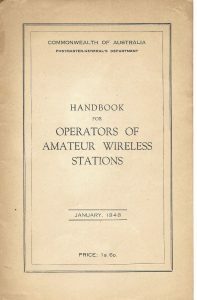 Discovered at a recent clean up at the club house is a copy of a 1948 HANDBOOK FOR OPERATORS OF AMATEUR WIRELESS STATIONS. 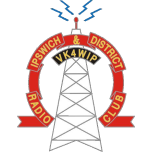 Click on individual pages to read and when a new window opens click on the page # situated above related posts. Enjoy. Page 1, Page 2, Page 3, Page 4, Page 5, Page 6, Page 7, Page 8, Page 9, Page 10, Page 11, Page 12, Page 13, Page 14, Page 15, Page 16, Page 17, Page 18, Page 19, Page 20, Page 21, Page 22, Page 23, Page 24, Page 25, Page 26, Page 27, Page 28, Page 29, Page 30, Page 31.